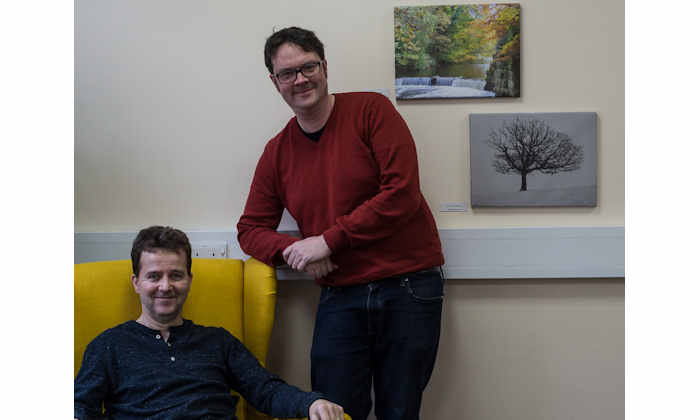 The School of Earth and Environmental Sciences (SEES) has created a dedicated space for staff to take a break – and enjoy their colleagues’ works of art – during the working day. When analysing the responses from the 2017 Staff Survey, it was recognised that Professional Services (PS) staff were lacking a space within the Williamson Building where they could enjoy a break during the day. The members of staff based in this building are situated in open plan offices and with no café or dedicated staff room, they were often found eating their lunch at their desks and infrequently leaving their work space throughout the day. By achieving cost savings in others areas, the Head of School Administration (HoSA) set aside a budget and established a business case to support the installation of a ‘Place to have a break’. Once approved by the School’s Senior Leadership Team, the HoSA sent out a call for Administrative and Technical Services volunteers to form a working group which would coordinate the design and installation of the space. The team met on a number of occasions to discuss what they wanted to achieve from the space and also looked at opportunities to involve the wider Professional Services community, including exhibiting staff’s pieces of art within the space. They include Alastair Bewsher and Mike Turner, pictured with their work. Following the implementation of the ‘place to have a break’ space in November, staff now have a welcoming space that they can enjoy during their break or for an informal catch-up with colleagues.